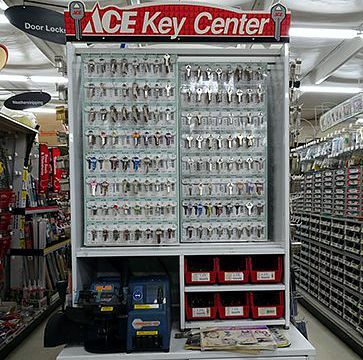 We are Racine's low price leader for fast reliable key copies, keys, and key products. We can copy home, car, motorcycle, and pad locks with hundreds of styles and options. Computerized chip key cutting technology is available. We use top quality keys and locks from trusted names like Hillman, Schlage. Single cut key copies are just $1.59! We're open every day! Hillman's Key Accessory program offers a wide range of popular designs including team logos and pop culture. Keys are cut at the service center while you wait.